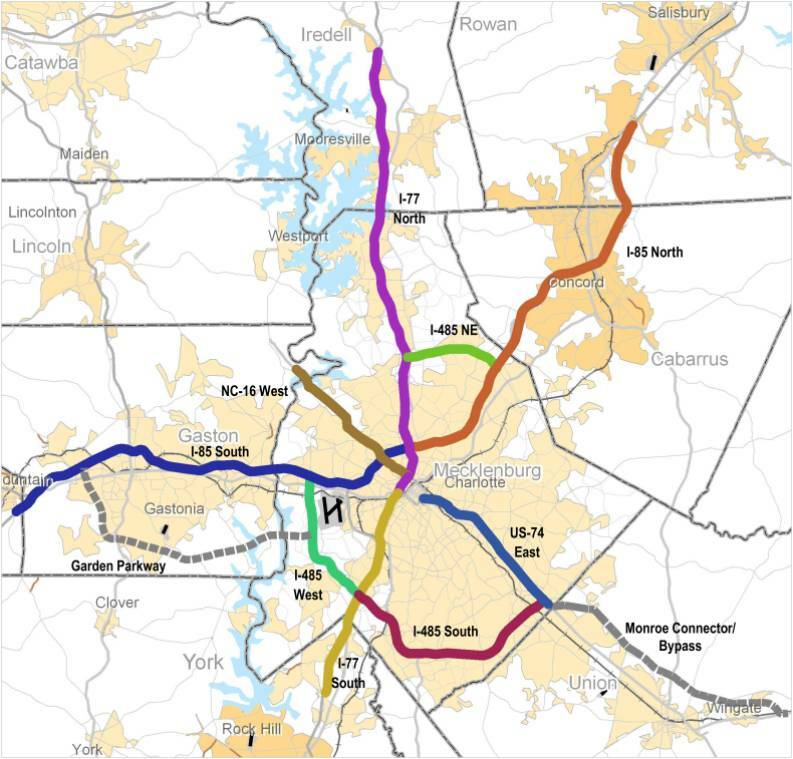 Transportation planners from across the region have joined together to examine the feasibility of Fast Lanes on major highways in the Charlotte region. The study will determine the technical, financial and institutional feasibility of dedicating lanes on major highways in the Charlotte region for active traffic management. 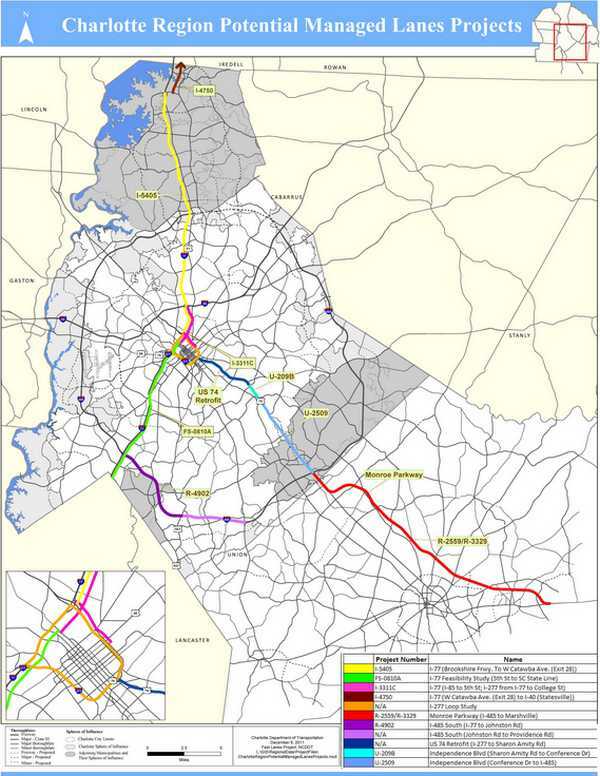 In 2007, the Charlotte Department of Transportation (CDOT), the North Carolina Department of Transportation (NCDOT), the South Carolina Department of Transportation (SCDOT) and other agencies in the Charlotte region began an examination of existing and planned major highways throughout a 10-county area to identify where Fast Lanes – high-occupancy vehicle (HOV), high-occupancy toll (HOT) or truck-only toll facilities – could help manage congestion during peak travel periods. Phase I screened freeways and other Strategic Highway Corridors to identify the most promising corridors for Fast Lanes. The study’s second phase included evaluations of physical designs, operational requirements, revenues and costs for roadways that remained after Phase I screening. In 2009, the City of Charlotte submitted a proposal to the Federal Highway Administration to receive funding from the Value Pricing Program in order to advance to a third phase of the Fast Lanes Study. The application was approved in 2010, and NCDOT provided the required non-federal match in 2011. Determine public acceptance for the next managed lanes project(s). I-77 North between Charlotte and Mooresville is expected to be the first corridor with HOT lanes. US-74 East between Charlotte and Matthews and I-485 South between Pineville and Matthews will be the focal study corridors in Phase III. Define the preferred Fast Lanes projects for the above corridors. Phase III began in February 2012 and concluded in June 2013.